Indoor navigation and tracker tags will become much better in the near future thanks to the direction finding feature of Bluetooth 5.1. Essentially, it provides a way to tell the direction from which a Bluetooth connection is coming. Currently, Bluetooth can only estimate distance (based on signal strength). With v5.1 it will have two ways to sense the direction by using multiple antennas (either on the phone or on the transmitter). So, next time you’re looking for your keys that have a Bluetooth tracker on them, you’ll get an arrow pointing you the right way, not just a “hot/cold” indication. 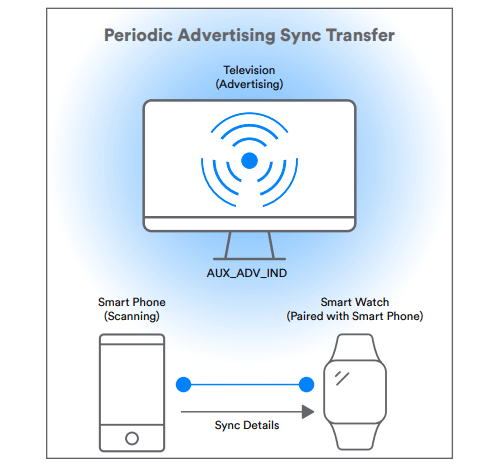 Bluetooth 5.1 will also improve the Advertising mode. This is a way for devices to communicate without explicitly connecting to each other (e.g. a smart thermometer broadcasting its measurements). The improved standard offers improved scalability and reliability in this regard. Also, it can let devices with limited batteries (e.g. a smartwatch) piggyback on the work done by more powerful devices (e.g. your smartphone) by sharing the collected Advertising data. Another change in v5.1 will speed up the handshake process for devices that you have connected to previously. Long story short, when connecting to a device, it sends a list of its capabilities. That list can be cached to save time and energy (caching was enabled previously, but v5.1 will make it smarter). You need to read the BT 5.1 spec, not some bad article. The features are _optional_ . Manufacturers are left alone to decide which features to implement. There are currently zero devices with BT 5.1. The spec was just released less than week ago. nice and somehow useful futures. but which one would be implemented in cellphones and with what price range?